Presentation Description: Recent anecdotal reports of women dreaming their breast cancers led to a 2015 scientific survey of 18 women whose vivid, extraordinary warning dreams were described as life changing experiences. Reports of dreams of other types of cancers are being discovered including thyroid, prostate, skin, brain, lung, uterine, and colon. Biography: Larry Burk, MD, CEHP, President of Healing Imager, PC, in Durham, NC, specializes in teleradiology, EFT, hypnosis and dreamwork. He was associate professor of radiology and director of integrative medicine education at Duke University Medical Center from 1998-2004. He was a founding member of the American Board of Scientific Medical Intuition and a board president of the Rhine Research Center. 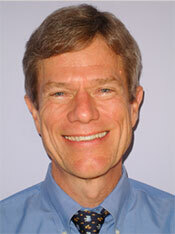 His book Let Magic Happen: Adventures in Healing with a Holistic Radiologist was published in 2012. Dr. Burk co-facilitates weeklong retreats at The Monroe Institute in Faber, VA, with medical intuitive Winter Robinson, MA, on Medical Intuition and Symbolic Disease, which also include EFT, imagery and dreamwork. He published his paper "Warning Dreams Preceding the Diagnosis of Breast Cancer: A Survey of the Most Important Characteristics" in the May/June 2015 issue of Explore: The Journal of Science and Healing. A link for the paper is on the homepage at www.larryburkmd.com.